I just ordered some fresh pillow covers for my living room for fall. I learned several years ago that I prefer to mix in seasonal decor with my usual color palette. 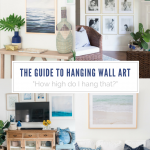 I do this because it’s budget-friendly, and it feels authentic to my personal style. 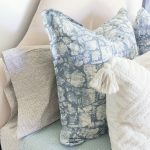 If you don’t have a color scheme that naturally lends well to traditional seasonal colors consider these tips for decorating seasonally without changing your color palette. 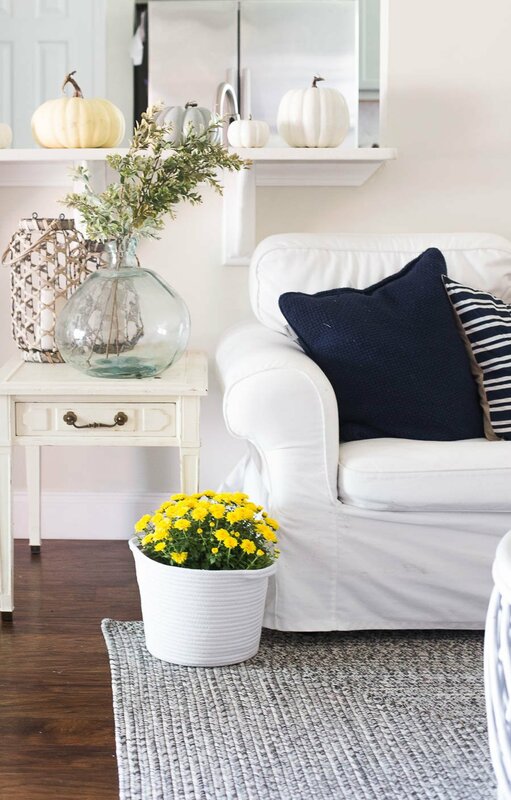 Adding warmth to your home for fall doesn’t have to mean in color palette. 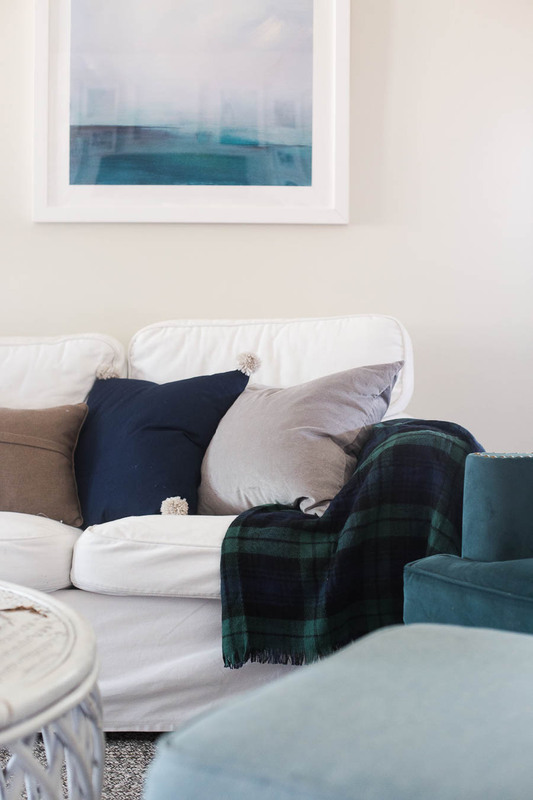 You can easily add warmth and coziness to your space by adding in chunky knit throws, quilted pillows, velvet or linen textiles. This time of year I put away the lighter weight blankets and throws. I add flannel sheets to the beds (yes, even in Florida!) and prepare the house for all-out coziness. 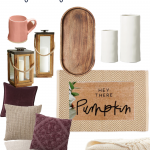 Breaking out of the commercial look of fall and embracing what fall means to you gives the freedom to decorate exactly how you want throughout the season. What are some things you love doing in the fall? What kind of feeling do you want your home to have during the season? 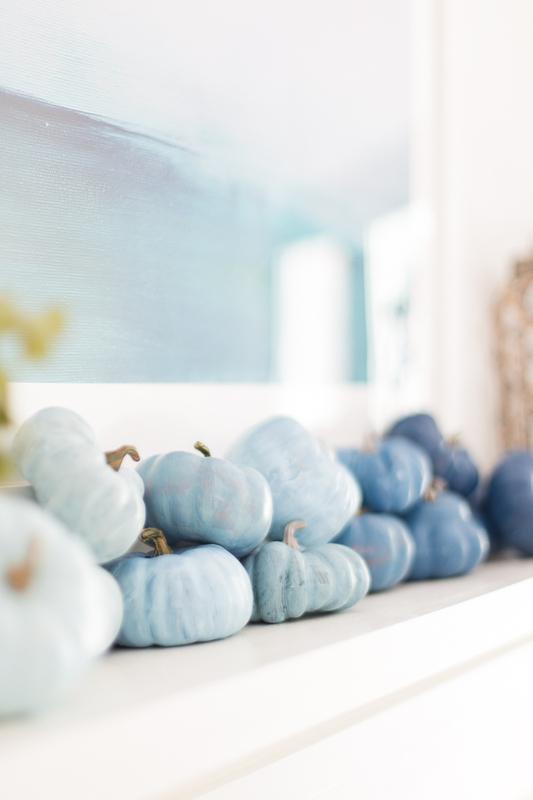 Placing orange pumpkins around the house can definitely symbolize fall but if you don’t love the color orange, is that really the best way to decorate your space? 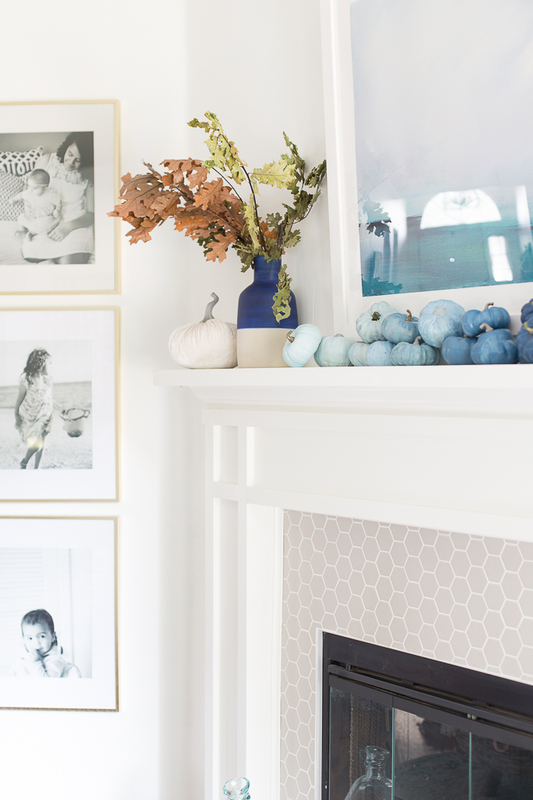 If you love setting a fire, putting on cozy socks, and making soups all autumn long then adding elements of cozy to your home is the perfect way to decorate for fall. Retail stores will always have pumpkins, scarecrows, and leafy themed things this time of year but if you aren’t sure about theme-y decor, step outside the box. 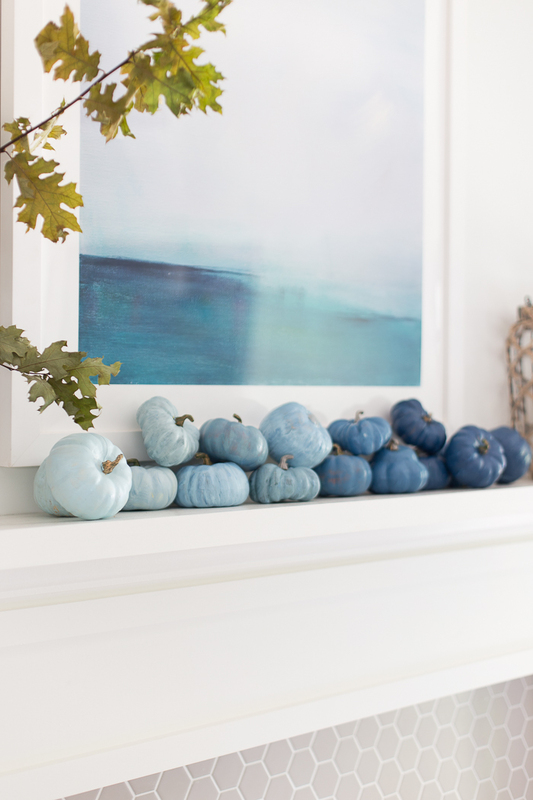 You can easily have a beautiful and modern vignette of pumpkins by painting them to fit within your color palette. 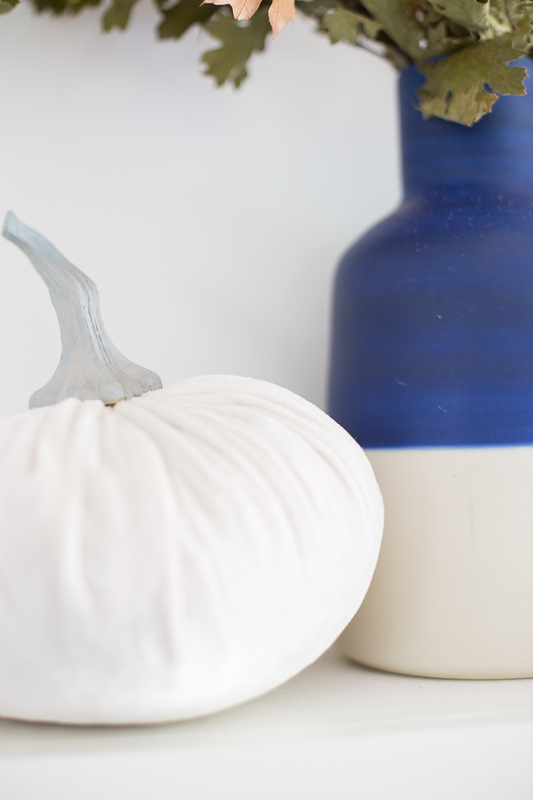 Blue pumpkins, white pumpkins, pink pumpkins, green even – those all can have such a modern and unique look. Chelsea, this is genius! 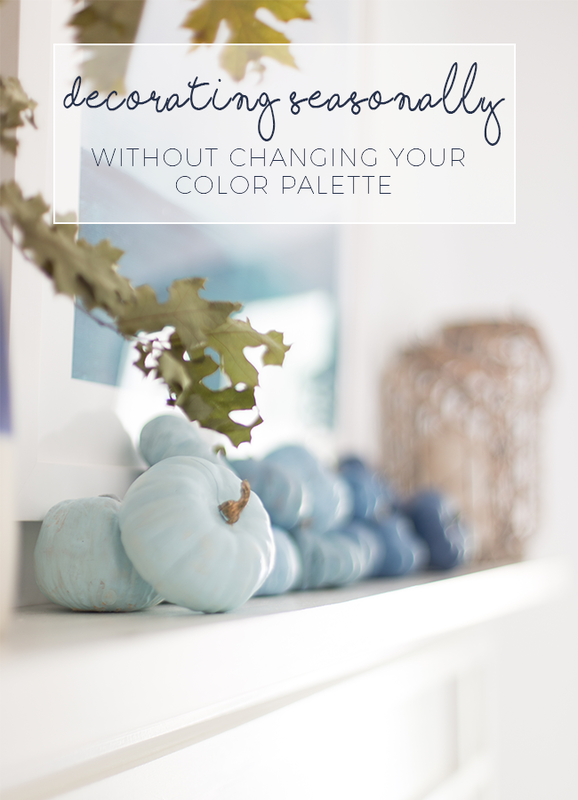 Loved this post so much and those blue and white ombre pumpkins are amazing! Definitely going to copy your idea if I can get my hands on some faux pumpkins. Craft stores are hard to find here in Hawaii so I’m going to have to hunt them down!